Looking for a job can be a difficult and sometimes disappointing task. Between all that is said about the process, it can get confusing to know what to do and what to avoid. But the dos and don’ts of job seeking in this article will help simplify the job search. These apply to everyone, from those simply beginning to experienced applicants who wish to switch to a different company. Before starting the job hunt, reflect on your qualities and shortcomings and the job profile you would like. The better you know yourself, the more likely you’ll find a job that suits your needs. Do: Look into your prospects. Once you have selected a job profile, you should focus on finding an organization that is looking to recruit for someone matching it. An incredible tip for finding a job is to go over an organization’s Glass door page. This will help to understand their work culture, find out their interview process, and see the amount of remuneration you can expect. Do: Construct, develop, and use your system of contacts. Most job seekers in the current market need a vast network of contacts. This network must include the various sectors of the industry and should be willing to help you gain some knowledge about job openings. A good word goes a long way as recruiting managers prefer interviewing candidates who were suggested by colleagues or acquaintances before dealing with the resumes that have been sent online. One way to achieve this is by building a strong LinkedIn network. Do: Keep adding to your repertoire. Adding useful skills to your resume is a good way to keep abreast of what the recruiters want. This can be done by doing certification or diploma courses that add relevance to your resume. Make sure your job search is covering every base. Many times jobs for one particular industry may be lacking in a geographic area. Be certain that you are doing everything you can. If you’re based in India, for example, you can search speciality services that cover your geographic area as you look for all India jobs. Don’t: Include just responsibilities on the resume. Many resumes that recruiters see are loaded with only responsibilities rather than substantial accomplishments. To beat the thousands of applicants in the Indian market, it is important to build an achievement-oriented resume that quantifies the job-relevant achievements that the candidate has stacked up over the years. Don’t: Send the same resume everywhere. 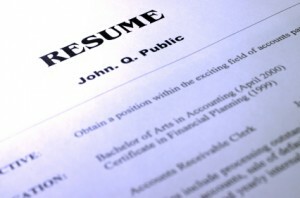 The most important yet forgotten part of the process is the need to customize your resume before applying to different jobs; the employer should know within seconds of looking at a resume that the applicant has exactly what the organization needs. Look to integrate key phrases from the job description in your resume. Job seeking is a grueling process. But even if you do get rejected the first few times, learn from your mistakes. Reach out to a trusted industry professional or someone in your network for tips and tricks of the trade. Follow these tips to improve your chances while looking for a job.